Many folks thinking about selling their home want to know, sometimes WAY before they start the selling process, what the Disclosure Requirements for California are. I have sent several emails, texts, to answer and give the link to the Department Of Real Estate Page. A couple times it’s been faster to just direct folks over the phone on how to search Google to find these Official Disclosures Required in California. So, after what seemed the eleventh time I answered the question, I wrote an email and saved it so I could just copy and paste it to send the next time someone asked… But then, when I’d get asked about them and I’d promise to send the email… I just sat down to find the email, and I just I decided to write a blog post here on Wereheretohelp.org and really explain the Required Disclosure Documents. Now I can just have folks google Wereheretohelp.org California Disclosure Requirements. 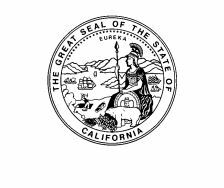 So, here in California, all residential property (all 1-4 unit Properties) sellers (or their Broker) must execute several State Mandated Disclosure Documents that must be presented in writing to buyers within specified timelines. These Required California Disclosure Documents explain every detail related to the property that is being sold. In nearly every transaction, California Real Estate Disclosures are required by state law, (California Civil Code, Section 1102). 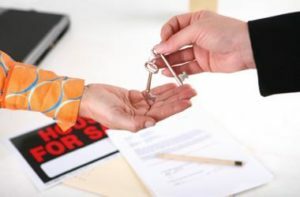 But there are SOME transactions that are exempt-For instance, all or some of the Required Disclosures are omitted in a court ordered transfer of property, or a simple transfer between co-owners or if the property is being sold by a foreclosing bank or lending institution (REO). California disclosures are very strict and specific in terms of formatting. The full explanation and additional information regarding which transfers are exempt or partially exempt from these disclosure requirements are included in the links below Many of the forms provided along with the official disclosure requirements in the official Department of Real Estate link below. So now, I just tell folks to google wereheretohelp.org disclosure requirements, if they want to see the official DISCLOSURES REQUIRED OF A SELLER AND/OR A REAL ESTATE BROKER/AGENT IN CALIFORNIA. One more note, This is my personal disclaimer that I am not an attorney, l have no legal experience etc. and I am using the language from the Department of Real Estate: Disclosure requirements constantly change and it is a sellers responsibility to know them Should you need assistance or further information, consult the statutory references included, contact and consult an attorney or a knowledgeable real estate professional. Also, this booklet has a list of government agencies which you may contact for further information, as appropriate. Because the laws concerning disclosure obligations may change, you should use this booklet only as a general source of information. This entry was posted on Monday, May 8th, 2017 at 9:08 am	and is filed under Posts for Pages, Sell for Top Dollar, Selling your home, Selling Your Home. You can follow any responses to this entry through the RSS 2.0 feed. Both comments and pings are currently closed.